Welcome to Utility Construction Company, Inc., celebrating 24 years serving the southwest U.S. Utility Construction Company, Inc. was formed in 1992 targeting low to medium voltage electrical work, including street lighting systems, airport lighting systems, power lines and power poles, conduit, electrical panels and related electric services devices and equipment. 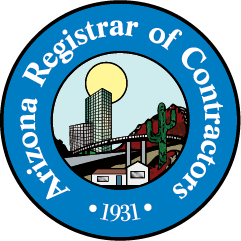 Since inception, UCC has developed into a full service general contractor specializing in construction and service contracts across all trades of work throughout the Southwest U.S.
We excel in Service, O&M and Job Order Contracts, and we understand the distinction between traditional design-build-bid construction contracts. UCC is a certified Woman-Owned Small Business and Disadvantaged Business Enterprise (DBE). 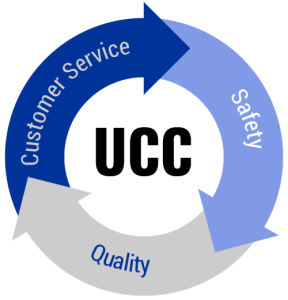 Our mission is to provide service with emphasis on safety, quality and customer service. 4/3/17 UCC surpassed 20,000 streetlight conversions to LED luminiares. UCC to install new electrical service to 104 historic streetlights in the Encanto-Palmcroft neighborhood. 3/27/17 UCC commenced with a large project of replacing underground electrical service feeding 104 historic streetlights throughout the Encanto-Palmcroft neighborhood in Phoenix. 3/25/17 UCC is proud to have participated in the 5th Annual Zinner Benefit Ride to assist others with medial financial hardship. New Mexico RLD-CLD #367690 (GS08) - Earthmoving, excavating and ditching.